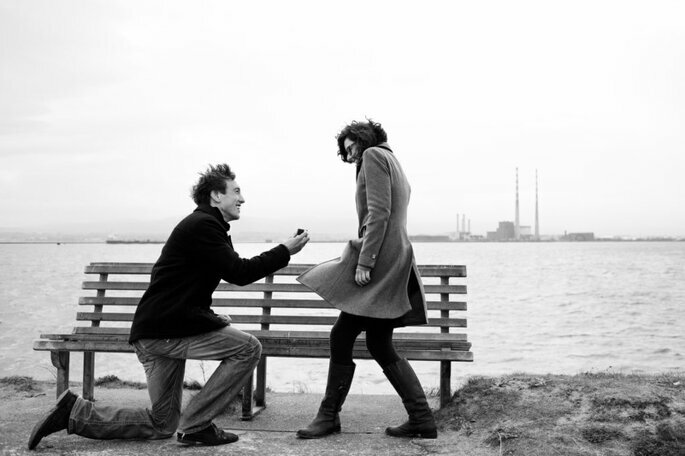 Want to have a photographer record the first moments of being engaged? Here's how to get the perfect pics! 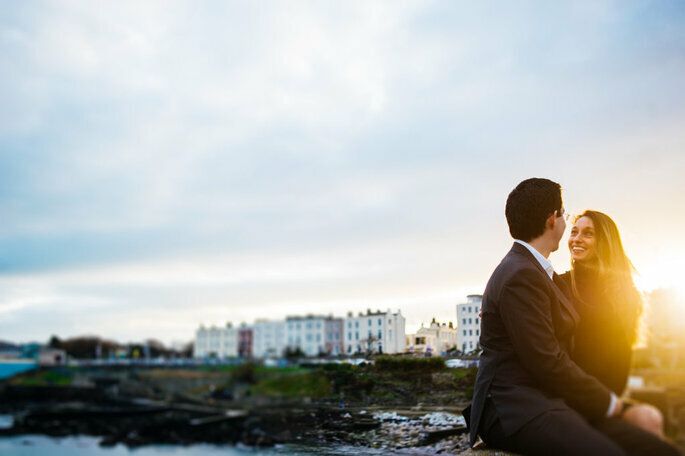 Your dream wedding album begins with the perfect engagement photo shoot, and as a wedding photographer in Dublin, this is one of my favourite photo shoots. Couples are so incredibly full of energy and life when they first decide to take the plunge. It is the start of a love story that will last a lifetime! Here’s everything you need to know for the perfect engagement photo shoot. Of course, it’s essential to show up looking and feeling your best. It is also important to realise that what looks good in the mirror might not look good in print. Avoid clothes that disappear into the background or steal too much attention from the shot. You should also stay away from overly trendy clothes that will make the photo look dated quickly. When it comes to choosing the right style, it’s all about neutral looks that make you feel confident. To determine the best options, I’d highly recommend taking your own photos in lighting conditions that are similar to what you’ll have during your engagement photo shoot. This is a great way to find out what you like. And, a tip for the ladies: photograph your makeup in advance! The camera can make your cosmetics look totally different so opt for a style that photographs well. Now is the time to get comfortable in front of the camera! While you might feel at home with a selfie stick in hand, it can be totally different to actually sit down to a professional photo shoot. With so many big days on the horizon, I’d recommend using your camera as often as possible. Take pics of each other and ask your friends and family to snap formal shots of your engagement dinner, stag/hen parties, and every other big day so you can start feeling natural posing. It’s also essential to get to know your wedding photographer! Get comfortable chatting with your photographer so that you feel (and look!) at ease in your engagement photo shoot. 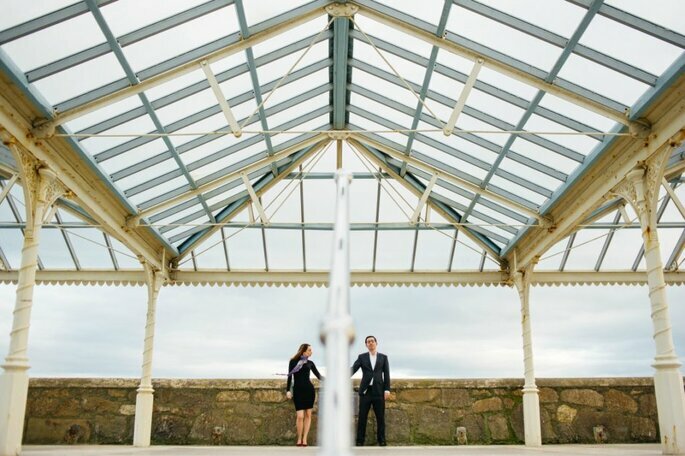 There are so many gorgeous locations all over the UK for an engagement photo shoot. From the seaside to the city centre, you are never more than a few turns from a picture perfect location. As a wedding photographer in Dublin, I have found beauty in so many unexpected places. I have fallen head over heels in love with romantic spots like White Friar Street Church in south Dublin city centre, picturesque Georgian Dublin spots like Grafton Street, and iconic sites like St Stephen’s Green Park. Outside of Dublin, there are lovely places like Dun Laoghaire Pier and the seaside of Dalkey. For nature lovers, there is nowhere like Howth and Wicklow. 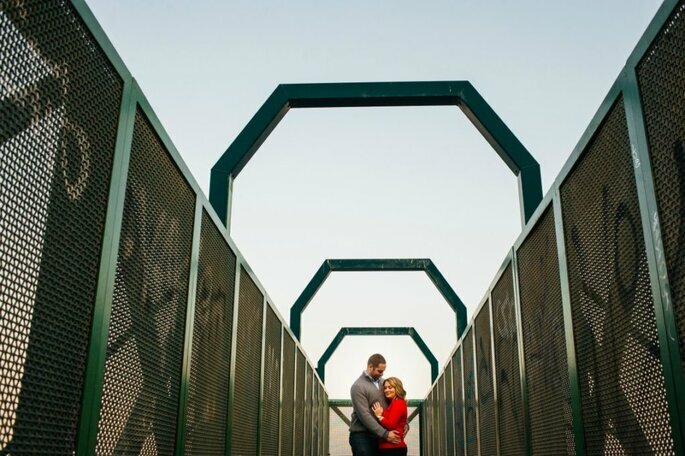 Ready to start planning your engagement photo shoot? Scroll through some of the greatest moments that I have captured of other couples in Dublin getting ready to take the plunge on my website! Head over to our Instagram and Facebook for more information and inspiration.